THE TOWN AND COUNTRY PUBLIC LIBRARY DISTRICT IS PLEASED TO OFFER LOCAL HISTORY AND GENEALOGY RESOURCES. The Historical Collection offers a wealth of information and research services for individuals interested in obtaining genealogy and or historical data from the collection. Self-Directed: Defined as the patron contacts the staff with the initial inquiry; staff conducts the preliminary evaluation of the collection and identifies potential resources; patron makes an appointment to view resources, conducts the research and identifies items for reproduction; staff performs all necessary copy; and reproduction services. Copy and reproduction fees apply. Staff Directed: Defined as the patron requests the staff to access the information, perform the research, prepare findings report and perform all necessary copy, and reproduction services on behalf of the patron. Copy, reproduction, and postage fees apply and must be prepaid. Please allow 6-8 weeks for processing of Staff Directed Research Services. Completed the form to the right. Click here for brief descriptions of this Collection, as well as links to specific finding aids for each collection. Research is provided free of charge. Copy/Scan, reproduction, and postage fees are the responsibility of the patron. All fees are payable in advance. Items can be emailed. If hard copies are requested, a postage fee will be included. Varies based on the amount to be mailed. Patrons pay the actual shipping costs. Advanced notification of the fees will be provided. Payment must be received before research findings will be sent. Photograph reproduction fees are determined based on the project. Please contact Collection Staff for more information. A fee of $25 per image held in the Town & County Public Library’s Historical Collection used for the publication in any work or scholarly body. This fee is in addition to any reproduction fees. A gratis copy of the publication is also requested. Research requests are handled in the order they are received. Turn-around time is 3-5 weeks, dating from the receipt of payment. Collection staff will be in contact with you if extra time is required. Providing research information does not imply permission to publish. The researcher assumed full responsibility for conforming to the laws of libel, privacy, and copyright that may be involved in use of the collection. Thinking about traveling out of the country? 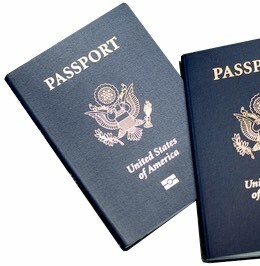 Get important passport information here. 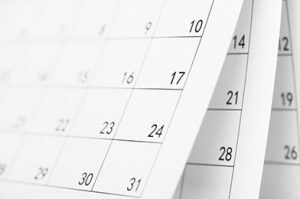 Want to see what Library events and programs are coming up? Visit our calendar here. Looking to reserve a room? Click here to create a room use request. Mon - Thu: 9 a.m. - 9 p.m.
Fri - Sat: 9 a.m. - 5 p.m.
Sun: 1 p.m. - 5 p.m.